What if I told you that, when it comes to where you live, you can have your cake and eat it too? 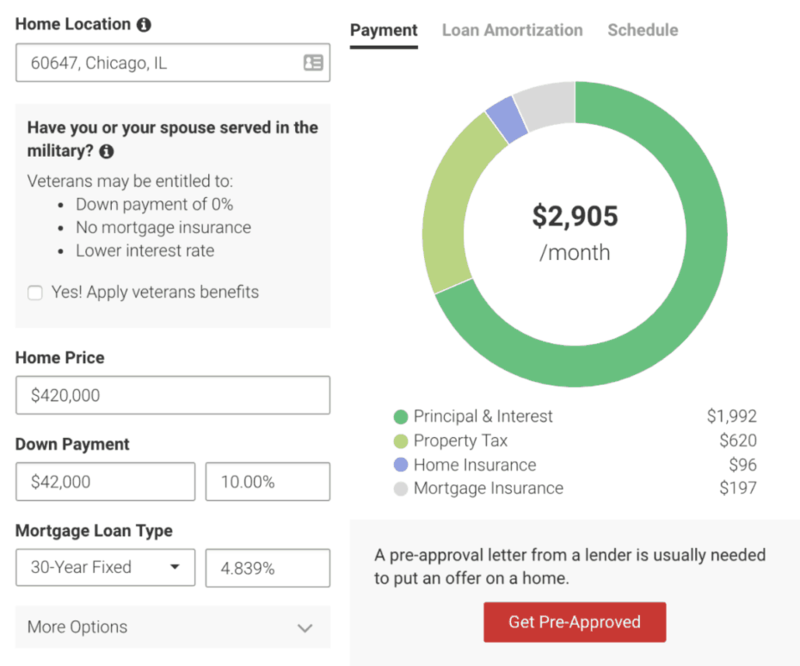 What if there was a way for you to live in a highly desirable area — San Francisco, Chicago, New York — but you never had pay rent or a mortgage payment? At the time of this writing, I’m living in Chicago — Rogers Park to be exact — and lovin’ my life in the big city. There is always something going on! I’m literally a 5-minute walk to the beach on Lake Michigan. I have all the ethnic cuisine I could ever want at my fingertips. All in all, I've found a community here like I’ve never experienced before. Life is truly incredible here, and my family and I are happier than we’ve been in a long time. There’s just one, tiny problem: My rent is $1,450 a month! This is, of course, insanely expensive. But here’s what’s even crazier: As far as big cities go, $1,450 per month is considered CHEAP. Back where I lived previously, in the San Francisco Bay Area, my home was a 600-square-foot apartment, in a really rough part of San Jose. Homeless people routinely ate out of my garbage can. People were selling drugs on the street corners. My rent there was $1,800 a month, and these days, I would be paying about $2,500+ for the exact same place. Given how residential values have skyrocketed in the most popular urban areas nationwide, the possibility of ever owning a house in one of these major cities is a pipe dream for many. Add in the continual rise of property taxes each year (mostly a Chicago problem) with increases in gentrification, and home prices just keep going up and up and up, with no clear end in sight. 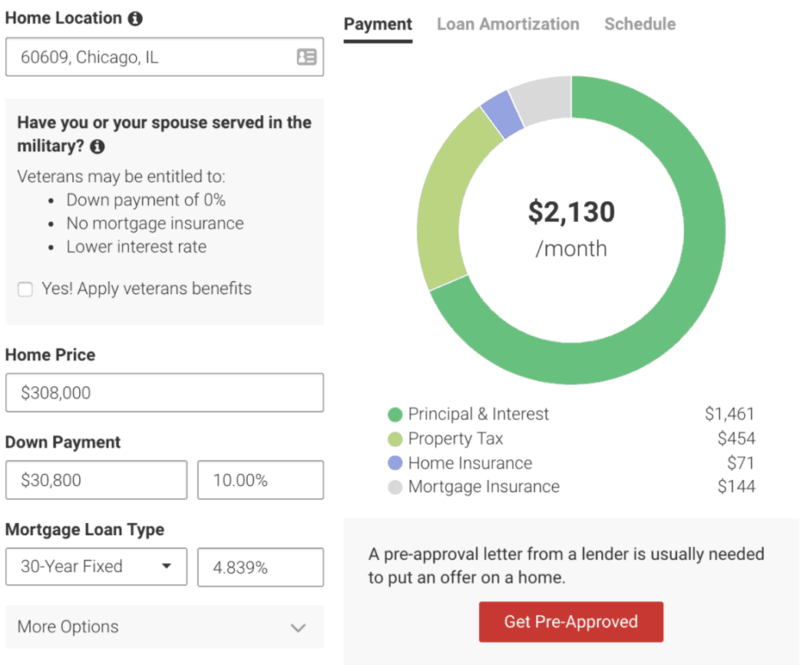 When I spoke with a lender to explore some options here in Chicago, he told me I needed to shoot for a purchase price of at least $500,000, which translates to an average monthly mortgage cost of $2,600 plus $500-$1,000 in property taxes per month! That’s over $3,000! I just can’t justify that; I’ve simply been ruined to expensive real estate due to my years as an investor. So, the question becomes: What do we city-lovers do? We want to be financially wise, invest our hard-earned cash carefully and wisely, and save for our future. But who wants to live in the middle of Nowhere USA in order to do it? I don't. I’ve tried it, but it’s simply not for me. Chicago has to be a major part of me and my family’s life in the future. I was determined to figure out how to do life in the big city, while still being financially savvy — a tough challenge, to say the least — and one for which I've found a solution. Say Hello To House Hacking! “House Hacking” is essentially a way for you to use creative real estate tactics to extremely lower or, as I plan on doing, completely eliminate your monthly housing costs. The term has been widely popularized by our friends over at BiggerPockets and is typically talked about in the context of buying a 2-to-4-unit apartment building, living in one of the units, and renting out the other(s). This is one type of house hacking I’ll be covering in more detail shortly, but there is actually more than one way to do it. Using an extra room or in-law suite to Airbnb. Owning and living in a small apartment building (typically 2-4 units). To figure out which method was the best fit for me, I interviewed a few experts that specialize in each method, and I'm bringing you along for the ride with me. Below, you'll find each interview I conducted, along with an overview of each strategy as well as their pros and cons. There are three primary ways you can go about house hacking with roommates. Rent out each room of a large, single-family house, sharing some of the common areas, including the kitchen, bathroom and laundry area. Convert a basement into an additional unit and then rent it out, creating a duplex (or 2-unit). Combine the two; convert your basement to host several rooms and rent them out individually with common areas designed to be shared among the roommates (giving yourself, the owner, more privacy). These methods of house hacking work the best for very desirable and expensive areas. This is because these are the markets where people are happy to pay $500 – $1,000 for a room with shared common areas. 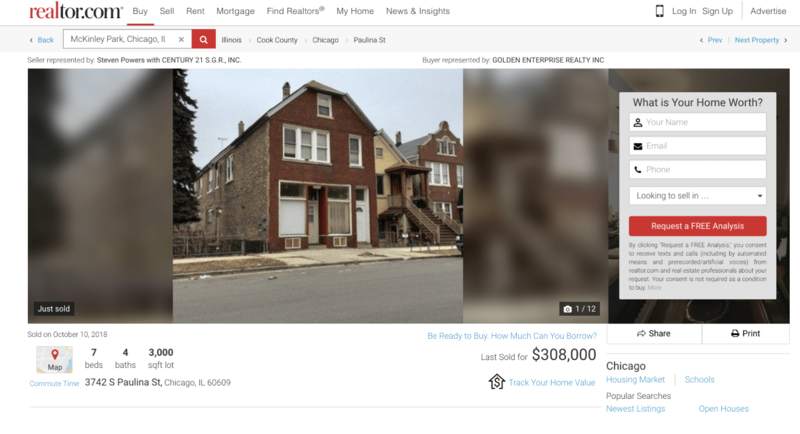 This property in Logan Square (an extremely hot neighboorhood in Chicago) recently sold for $420,000. It has five bedrooms. (Note: Different loan programs, with different down payment amounts, may increase or decrease the monthly mortgage costs. Above, I’m using 10% down as a general ball-park for the sake of example). If we have four out of the five bedrooms rented (because, obviously, you need a bedroom for yourself) at $700 per room, that brings in $2,800 per month ($700 * 4 rooms = $2,800). Again, our mortgage costs are $2,905, so that means we still have to come up with $105 per month to cover the rest of this monthly payment. If all you had to pay was $105 per month in housing expenses and you got to live in the heart of a massively desirable city, would it be worth it? Now, don't forget: You're still on the hook for maintenance costs associated with the house, but this is the same risk you face with any kind of home ownership. The upside when you house hack with roommates is that because you’re saving so much money per month on your mortgage, you can now easily save for these unexpected events. You can typically live in one of the more desirable neighborhoods of the city. Since this property is a single family house, it may be easier to manage maintenance costs. The cost of the property can be higher, which means the down payment might be harder to come up with. You are living with roommates, so privacy might be limited. It's probably not the best fit for families who want more privacy. House hacking with roommates can be a great option if you’re young, single and just getting started in life. You have the potential to live in a part of a city that is highly desirable (and otherwise, very expensive) for little to no money each month. If your roommates are friends and people you like being around, living in the community while you’re young can be an incredible way to create lifelong memories. I think this strategy is the best fit for young adults, but I wouldn’t recommend it for families (though, it could still work if you did option 2 or 3, listed above in the overview). What I love about house hacking through Airbnb is that it gives you the best of all worlds. You get to have a nice, upscale, single-family residence while living in a great area AND deciding whether or not you want to have a tenant. You buy a house that has a detached, in-law suite or casita that has its own bathroom. You convert that structure into a hotel-like room (with a mini-fridge, sink, and microwave). Finally, you post it on various short term rental websites like Airbnb. If you’re living in a major city, there are always people looking for short-term, vacation-like rentals. You can choose to keep it booked year-round or if you want friends to come and stay with you (or if you want a weekend with no tenants), you can simply adjust the availability on Airbnb. It gives you the most control, while still massively cutting down on your mortgage costs. Let me share an example that Ben used to show how this works, in his book: House Hacking: The Only Real Estate Investing Strategy You Need to Build Wealth, Live for Free (or almost free), and Make Money Through Homeownership. He ended up buying a beautiful, three-bed, two-bath house in the Chandler area of Arizona for $355,000. It came with a separate casita off of the main house. His monthly expenses came out to $2,050. After running all the numbers, factoring in months of high vacancy, he determined that his average cash flow from renting out the casita on Airbnb and VRBO is $1,300 per month. Do the math and you'll see that he gets an incredible, private house with a pool in one of the most desirable areas in Arizona — and he only has to pay $750 per month. Can it get much sweeter than that? You have the most control over your tenants. You can get a private, separate house just for you and your family. You can live in an extremely desirable area of the city. You might not be able to cover 100% of your housing costs. You might have ongoing maintenance to list your property online. If you live in a less desirable section of town, you might not be able to make this strategy work. 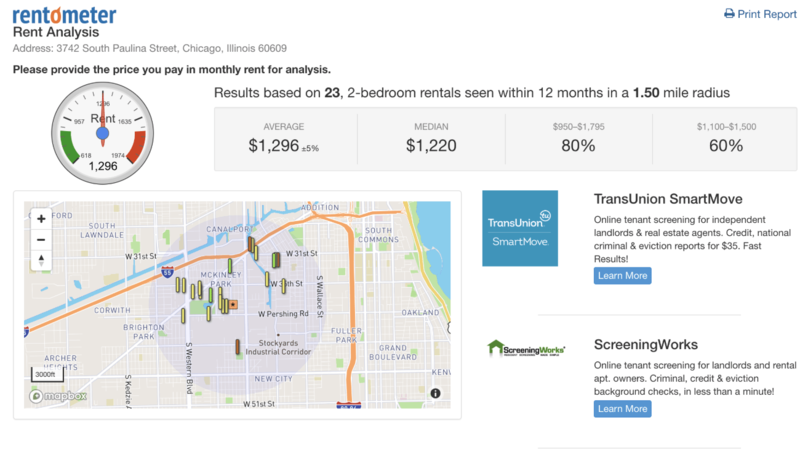 Certain lenders will not loan on properties used for short-term rentals. Real estate can arguably be divided into two categories: commercial and residential. Residential properties are where the intended use is for living in the property. Commercial properties are where the intended use is to make money from the property, either through hosting one or more businesses in it or using it as an investment of some kind. Now, if we get technical for a moment, YES – you can make money from residential properties. Realtors, house-flippers, and landlords do it all the time, and, to be fair, you could live within a commercial building too (like living in one of the apartments of a 100-unit complex). To keep things simple, though, residential properties are for residing and commercial properties are for conducting business. In the real estate mortgage industry, any property that has four units or less is considered residential and qualifies for a conventional home mortgage. Any property that has five units or more is considered commercial and would require a commercial loan. 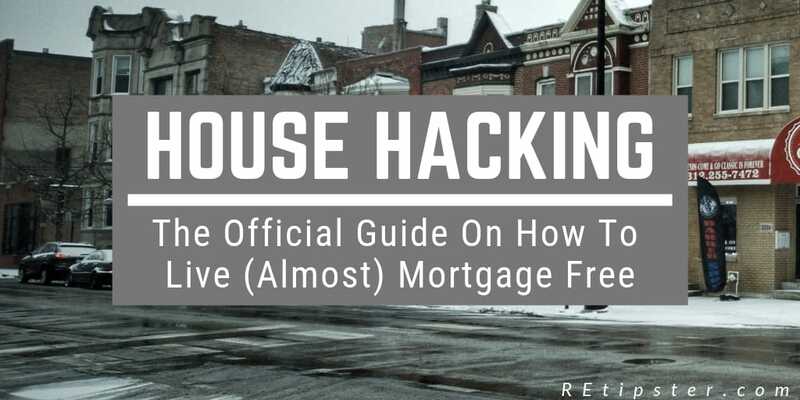 When it comes to house hacking, if you acquired a residential property that was between 2-4 units, you could qualify for a conventional residential mortgage, even though this is technically an income-producing asset. This is actually a big deal because these loans are relatively easy to acquire and there are a lot of low-money-down options, like the 3.5% FHA loan, and other “down payment assistance” programs, that, if you qualify for, could have you securing a mortgage for little to nothing out of pocket. What’s more, if you bought the property at the right price, you could potentially live in one of the units and have the rents from the others cover most, if not all, of the monthly mortgage, insurance, and property taxes. 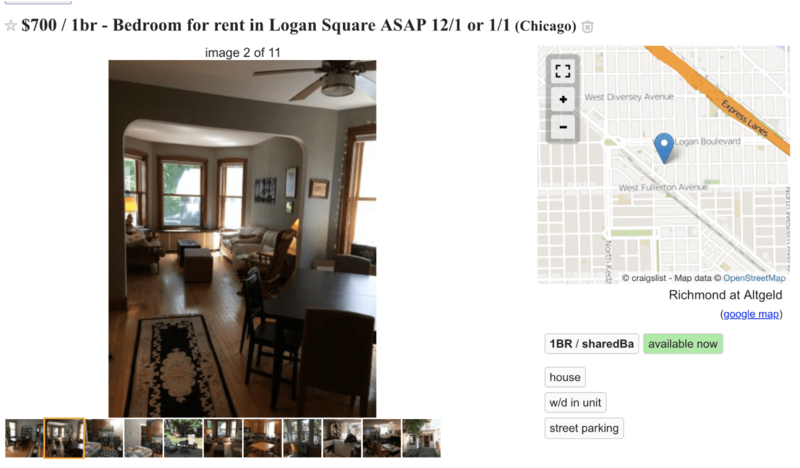 (FYI: This is cheaper than most places in Chicago because it’s up-and-coming and crime is higher). If we rent out three of the units, that’s $3,600 in gross monthly income ($1,200 * 3). So, if our mortgage costs are around $2,200, that means we’re seemingly ahead by $1,400, per month! In reality, because you’re the owner of this building, every time a water heater goes out or a toilet stops working in one of the rented units, it's your problem to pay to fix it, so this $1,400 isn't the most realistic portrayal of what's actually available. Your ongoing maintenance costs are going to average about 50% of your gross rents. So, for our example, that would work out to be $1,800 ($3,600 * 0.50 = $,1800). I think the 50% Rule is a little extreme. You might be okay with less, but it’s best to be conservative all the same. Before we move on, I want to address one more thing. Let’s say the property you were looking at didn’t have as good of numbers like the one I’m using in this example. Let’s say, after we factored everything in, you were still on the hook for $500 per month. If you only had to pay $500 every month, but you could live in a major city that you loved… would it be worth it? I think so! Spending $500 for a nice apartment in a major city that you love living in AND is giving you ownership of an appreciating asset, is a huge win. Of course, appreciation is never a guarantee, but in a major metropolitan city, it’s a lot more likely than in rural markets. That means over time, you might make some big bucks from your property. Easy to find (2-4 units, especially in big cities, are very common). Has the highest potential for living with zero monthly housing costs. You live next to your tenants (if you don’t train them well, they may just knock on your door whenever they want you to fix or do something for them). You share walls with your neighbors (which can get noisy). Backyard and garage space can sometimes be limited (because a lot of the time these properties are structured more like apartments than houses). There is a reason why house hacking with small apartments is the most commonly known method. There are a lot of upsides — the biggest being that you are the owner of an income-producing, appreciating asset that will continue to produce wealth as long as you have it (assuming you bought it correctly). So, after all this research, what did I decide to do? First, let me explain my thinking process. Originally, I thought a single-family house with an in-law suite would make for a perfect Airbnb rental. You see – my wife wants to live in a nice house without having to share a wall with our tenants – and I thought a detached, income-producing in-law suite would be the best of both worlds. Not to mention, with the extra income from this Airbnb unit, it would MASSIVELY impact our ability to cover a higher mortgage payment on a nicer property in a more desirable part of the city. The problem that arose, though, was with Chicago itself. Chicago has the second-highest property taxes in the nation (outside of New Jersey), and they seem to be increasing year after year. There are some pretty big issues with the state of Illinois, and though most of it is over my head, I can clearly see some warning signs that suggest Chicago’s economy is going to get worse before it gets better. Crime (especially on the Southside) is among the worst in the nation. My own sister-in-law was recently robbed at gunpoint and beaten until unconscious – and this was on the “safe” side of the city at 9:30 in the morning! I couldn't help but think – this could have easily been my wife or child, and as much as I love this city, I don't know if I can swing living day-to-day with that kind of risk. This wasn’t the most ideal option because, let's face it, renting feels like flushing dollars down the toilet. Nevertheless, we don't know exactly what the best option is right now and renting would be a good way to take the pressure off so we could think rationally while in transition. Most people don't realize that Northwest Indiana is only 45 – 60 minutes outside of downtown Chicago. I currently live in the most northernmost neighborhood within the Chicago city limits called Rogers Park. 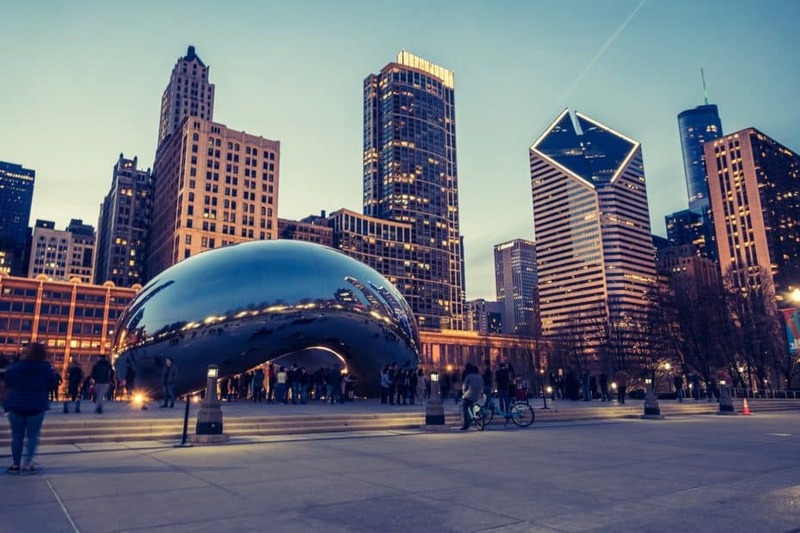 Right now, it's a 35-40 minute drive to downtown Chicago – and that’s within the city limits. 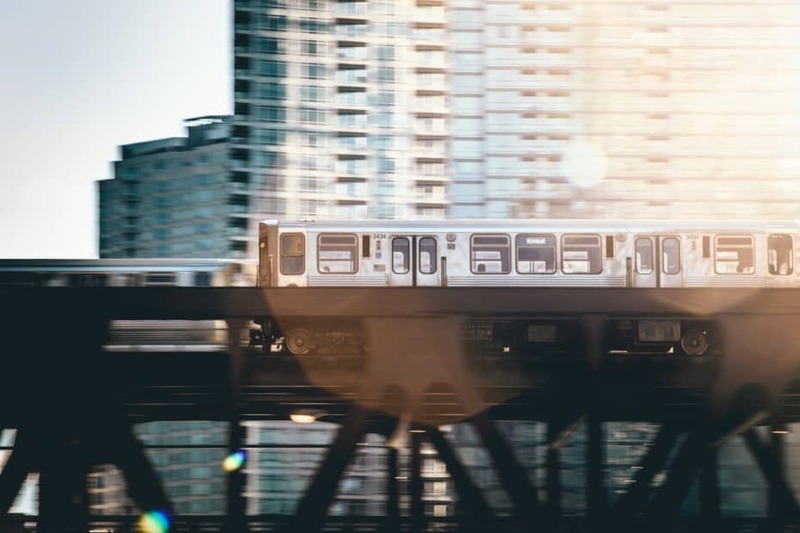 So, moving to Indiana might be a way to “Have our cake and eat it too,” so-to-speak: more affordable, safer and still close enough to experience all the benefits Chicago has to offer. There are still some major drawbacks in this option, however, namely that my in-laws (who live with us a portion of the year) would have to commute 45 – 60 minutes to work… and they don't really know how to drive. My wife's family is from Kazakhstan and they prefer to work among the Central-Asian community here in Chicago. Also, our church community would be a 45 – 60 minute commute as well, and that puts a big strain on the relationships that we cherish there. So What Did We Decide To Do? We decided we're going stay in the Chicago area and continue renting for now. There are just too many moving parts for us to make an immediate decision. Instead of being under pressure, we're just going to stay flexible and see how our life (especially with our soon-to-be newborn) turns out. 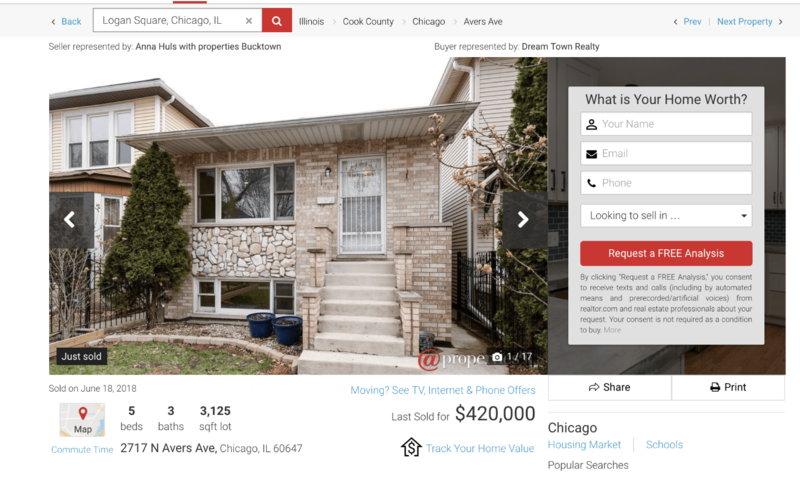 We're considering moving to a Chicago suburb that is closer to our church community and that's slightly safer, but for now, we're going to renew our lease and put our attention on growing my budding land-business. Once we're making the kind of money we're striving toward, perhaps we'll just build a mansion and not worry about house-hacking at all! I hope you’ve found this post helpful. Do you house hack? I’d love to hear from you in the comment section below!